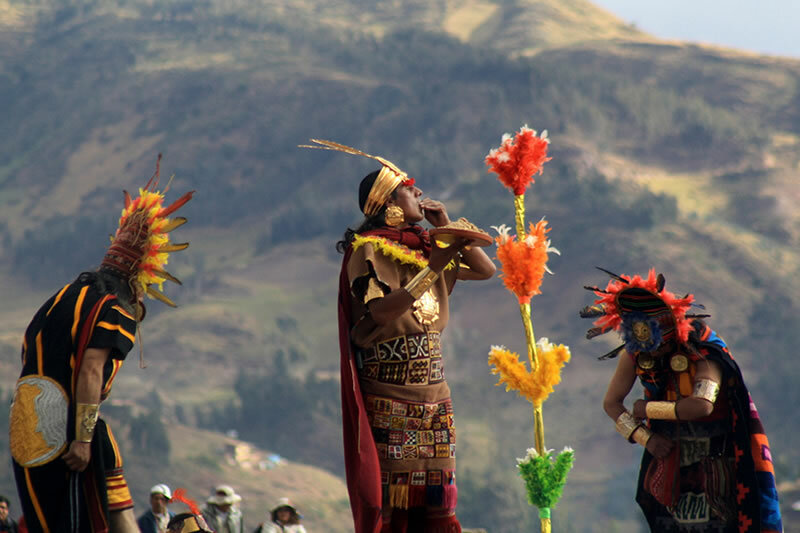 You will be surprised to know that the Inca Empire lasted barely two centuries. But how amazing and of course interesting was its rapid development, to achieve its daunting expansion in such little time. It is not known for sure when he started the empire as such; It was estimated to be sometime in the thirteenth century, when Manco Capac began this dynasty. In two hundred years it becomes the most powerful nation in South America, which reaches its peak in mid-1400 during the Pachacutec period. But with the arrival of the Spaniards the splendor of the empire came to an end. Who were the Inca emperors? The Incas failed to invent writing, so there is no record of how they started. When the Spanish conquered the land, it was began the written history of the empire of the Incas, but it must have been hard to write about an event that occurred 200 years before, so no one knows for sure what was the beginning of civilization. So until today its principles are legendary. The mandate of Manco Capac lasted about forty years. Time in which was established some codes of conduct (laws) during his regime. After the death of Manco Capac, the empire flourished until the mandate of the Inca Pachacutec. Under the command of Pachacutec the empire had its greatest expansion. When Pachacutec became emperor, Cusco was just a city where the Inca lived. However, Pachacutec organized and became the Empire in a system of government known as Tahuantinsuyo. Pachacutec also known for founding Machu Picchu. Although it is not clear if it was used as a royal residence, retreat or other purpose. How they expanded their empire, the Inca emperors? Since that Manco Capac founded the empire, this was growing, but achieved his greatest acceleration during the reign of the great Pachacutec. Pachacutec established alliances, that allowed him to dominate the territory without using force. Allowing them to create a vast empire that came to control the territory from Ecuador in the north, until the more than half of the present Chile, with a population of three to five million people in an area of 1,700,000 km2. After Pachacutec, his son Tupac Inca Yupanqui was head when the army, he continued with the expansion of the empire, expanded the lands of the empire to the north, it began in 1463 and continued until after the death of Pachacutec. When the empire of the Incas reached its peak, the Empire included Peru and Bolivia, part of Ecuador, much of Chile, also part of Argentina and Colombia. Huayna Capac died in 1525. Before he died he could not fix his successor. Although he wanted his successor would be Atahualpa, Huascar was actually in line to be the next successor. So he tried to find a balance between love and responsibility. He gave to Atahualpa northern part of the empire and to Huascar the central part including Cusco. His bad decision waged a civil war between the two brothers. Many people died, and the rule weakened from within were defeated by the Spaniards. Atahualpa died in 1532 and Spain took control of Cusco.